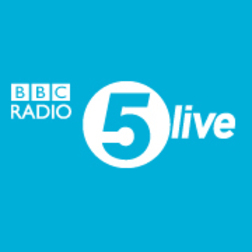 BBC Radio 5 live is the BBC's radio service providing live BBC News, phone-ins, and sports commentaries. It is the principal radio station covering sport in the United Kingdom, broadcasting virtually all major sports events staged in the UK or involving British competitors. The BBC Podcasts Directory lists 20 active podcasts under BBC Radio 5 Live. For more details visit: www.bbc.co.uk/fivelive.